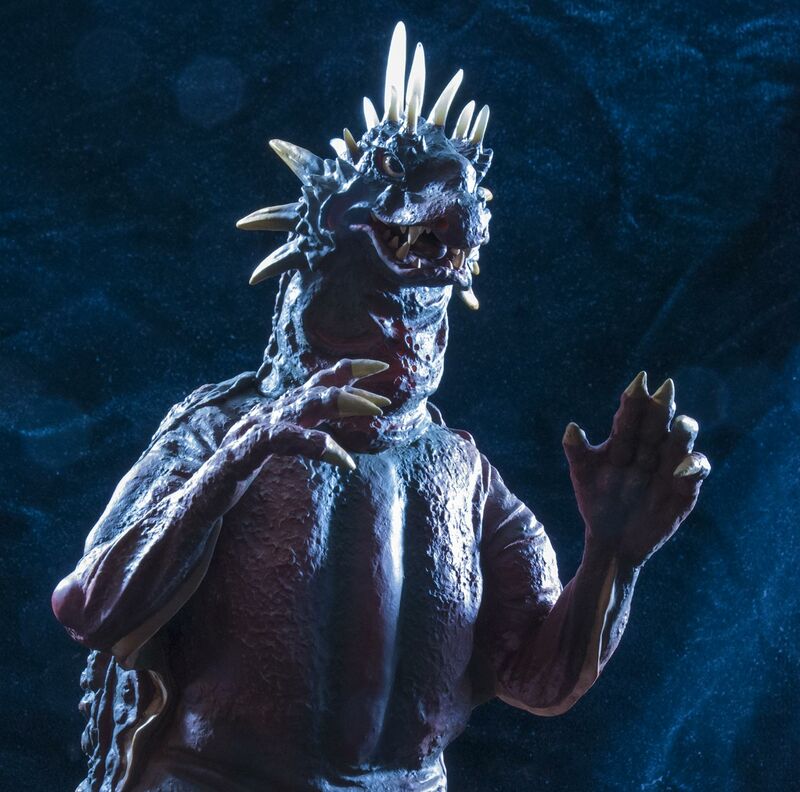 New Kaiju Addicts Review: X-Plus Toho 12inch Series Varan 1958 Vinyl Figure – SKREEONK! Hey, John from KaijuAddicts.com here with a few shots from my recent review of the X-Plus Varan Diamond Reissue Vinyl Figure. I usually have a little something to say here on Skreeonk! but there’s just so much in my review that I would just suggest you go there for all the details. In the meantime: here are a few shots from the review. 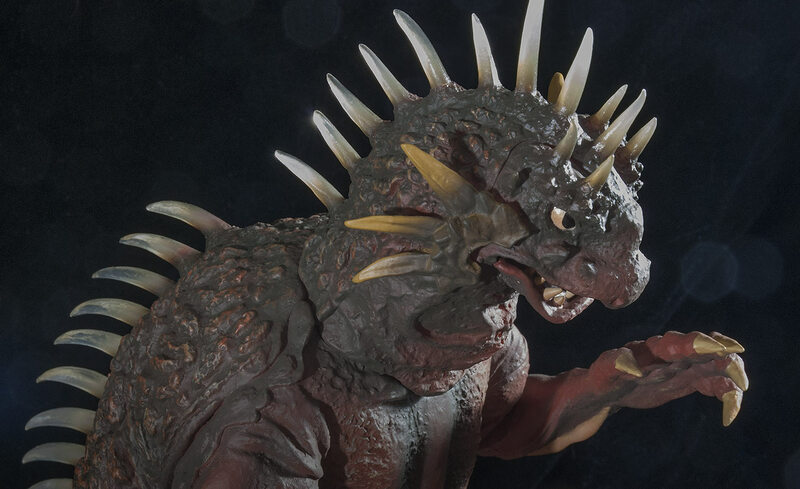 The North American release of the X-Plus 30cm Series Varan 1958 recently landed in the hands of many a collector. All I can say is, Thank God for Diamond Distributors! This particular item was getting really hard to get. That’s not a problem anymore! Okay, I will say one thing. 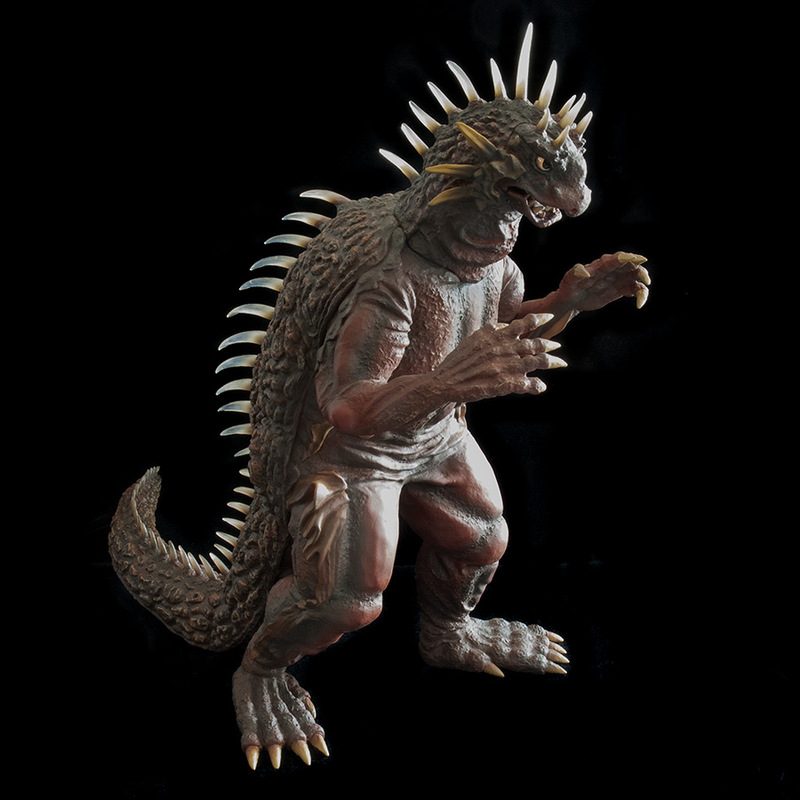 This figure totally changed how I looked at Varan. Before I got this figure, I thought the Varan suit design was unimaginative and just, well, unexciting. But being able to see this figure up close completely changed my view. Varan IS an awesome design. In fact, I like the X-Plus Varan so much now… I bought the company! Okay, I didn’t buy the company. But I did start selling X-Plus via the family business. And right now we have 4 X-Plus Varan’s left. Please stop by KaijuAddicts.com to learn more about X-Plus Godzilla vinyl figures. There’s been a lot of news lately and the site has much to offer. Next Post The Official ‘Asia Release’ Trailer for GODZILLA Will Give You Goosebumps! Previous Post It’s a 60th Anniversary Collector’s Update – LEGENDARY Edition!